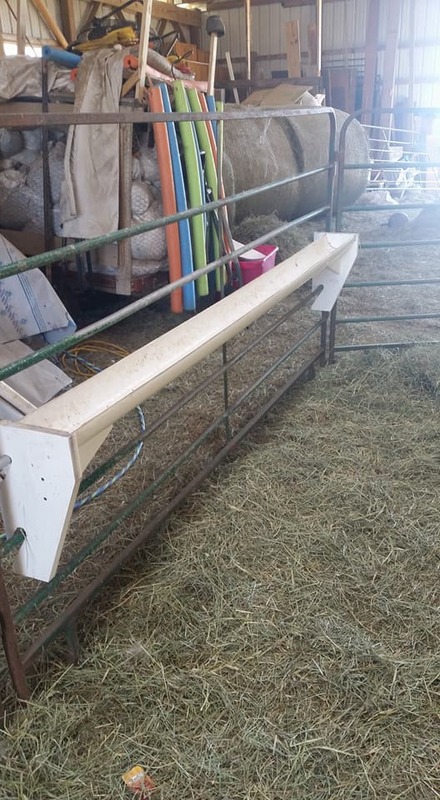 Feeders for llamas, alpacas, goats, or sheep. Our feeders are made with your animals in mind. They are sturdy, won't fall apart, weatherproof, and the metal is stainless steel that won't rust! Great for grain OR minerals!! The single "flip" feeder is made to grain one animal, or it is great to use for minerals. The flip of the switch allows the feeder to flip forward to dump excess material that you don't want in there. These are perfect for outside when you want to dump out water or other things that don't belong. Easy to clean. 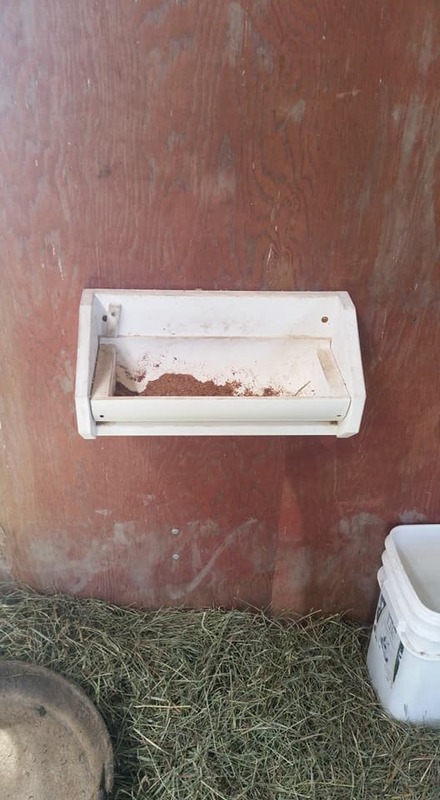 Same as the single feeder, but the double has a divider helping your animals to share the feeder. As their noses move across, they bump into the divider and tend to stay in their own space. 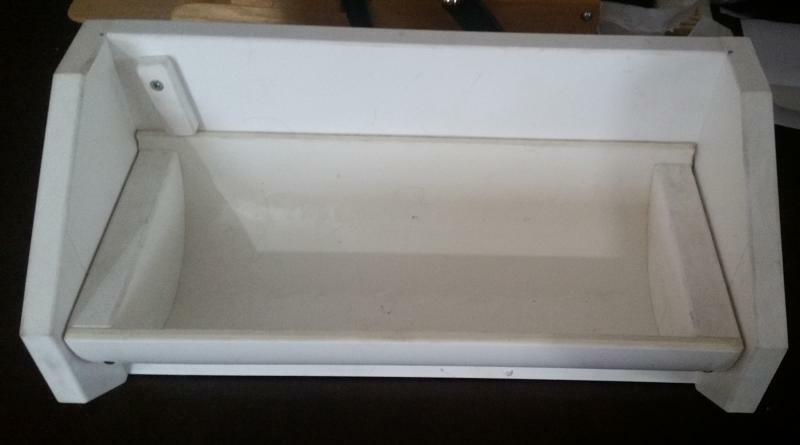 Same as the single feeder, but the combo has a divider that separates the minerals from the grain. Great for easy cleaning! 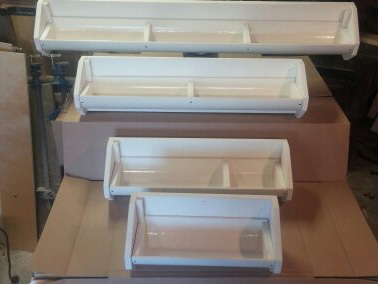 .Same as the double feeder, but the triple has two dividers to help your animals to share the feeder. As their noses move across, they bump into the divider and tend to stay in their own space. ﻿This is great for goats or sheep! Need a longer feeder? Need a feeder that doesn't flip? These feeders can be useful when having multiple animals. Please call for pricing for individualized lengths or options. Ask for Jason 231-944-5313. We ship worldwide!! Cost is added on to the listed prices. We give you options! You may choose USPS, UPS, or Fed Ex. Hate to pay shipping? We will deliver, free of charge, to any llama show that we will be attending.